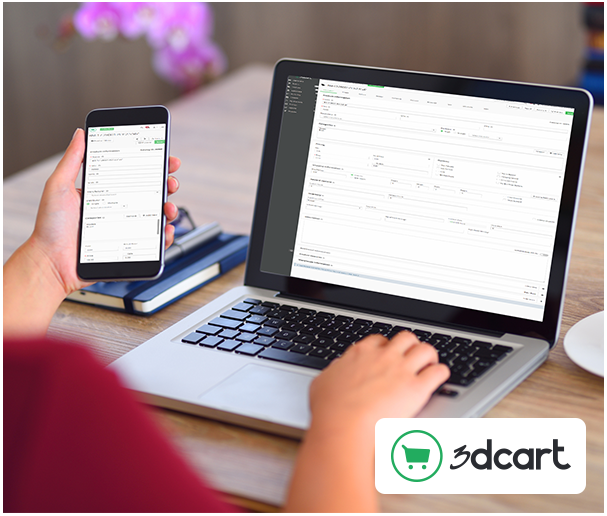 3dcart is pleased to announce version 8.2, the latest upgrade to our industry-leading eCommerce platform. This upgrade includes a variety of improvements and new features that make it even easier for online sellers to build a powerful online store and manage their business. We've improved several integrations, added new functionality into the software, and redesigned the admin panel for smoother online store management. This new upgrade to the 3dcart software will provide online sellers with additional tools and functionality for several aspects of their business, including payments, customer service, inventory management, and more. 3dcart v8.2 introduces new integrations, enhancements to existing integrations, new and upgraded features, and a redesigned admin interface. 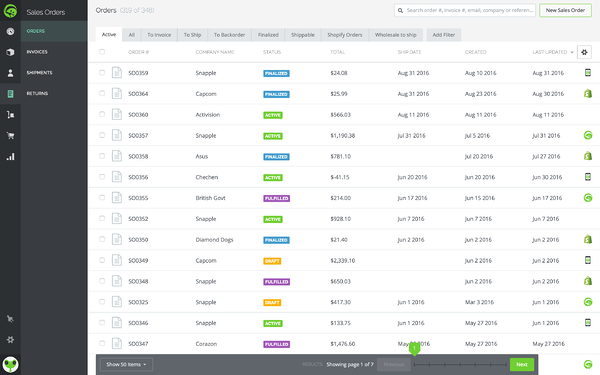 Read on to learn about the latest improvements to the best eCommerce software for your business. We've overhauled the 3dcart Online Store Manager interface to provide you with a smoother experience than ever before. 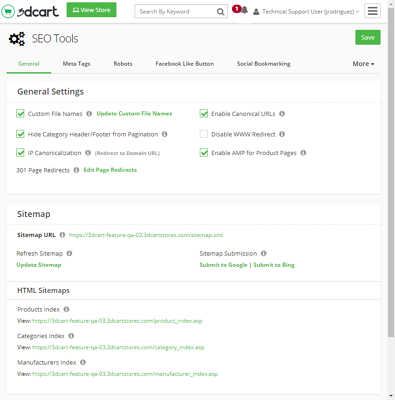 Most of the redesign has gone on behind the scenes, where we've made significant improvements to the speed and usability of all aspects of the 3dcart admin. We've also reduced negative space on every admin page to decrease visual fatigue. Overall, running your online store will be more streamlined and easier on the eyes. One of the most important enhancements is that we've transitioned the entire 3dcart admin to responsive design. Responsive web pages adapt to the screen size of any device, such as a smartphone or tablet, that's used to view the page. The advantage of going responsive with the 3dcart Online Store Manager is that now it's easier than ever to run your business from a mobile device, so you can stay in control wherever you are. We've also completely reorganized the Modules page to display more information about each of the 3dcart modules you can access. With the new layout, you'll find it easier to read more at-a-glance information about each module. The Settings buttons are also easier to find, so you'll be able to edit module settings more easily. The GDPR Toolkit is an essential new addition for any eCommerce merchant with customers in Europe. The GDPR (General Data Protection Regulation) is a multifaceted privacy law that defines the proper usage and storage of customer information. The main components of the GDPR are an expansion of privacy rights that allow consumers control over the collection and retention of their personal data, and harsh penalties for non-compliant organizations. Another of the rights stipulated in the GDPR is "the right to be forgotten," meaning customers must have the ability to review and remove the data you store on them. The toolkit creates links you can give to customers to let them view their data or request deletion. You'll also have logs of these customer report and deletion requests. These tools make it easy to bring your online store within GDPR requirements and prevent you from being fined. Klarna is an extremely popular European payment solution that is growing in the US. Klarna offers invoice-based payments for online stores and provides financing options to customers. With Klarna, the customer doesn't need to pay for their purchase until the goods are received, and then has several options for making payment. Meanwhile you, the merchant, are protected and payment is guaranteed. Klarna assumes all risks regarding the customer's payment. An invoicing and financing option can increase your sales by enabling customers to make larger purchases. By decreasing the obstacles that prevent a customer from buying, you create a smoother purchase experience and give a greater incentive for them to make an order. Bread is a leading platform for pay-over-time consumer lending solutions that helps retailers reach more customers through flexible financing options. With Bread’s full-funnel, white label financing solution, customers can easily pre-qualify as they shop, and will see a personalized per-month payment amount generated across the entire shopping journey. 3dcart's integration with Bread encourages customers to buy the items they want now with flexible payment terms, knowing they'll have time to pay later. Bread pays retailers immediately and handles the consumer repayment process through its in-house customer service team. Your customers who use Bread will have access to best-in-class support while they pay off their purchase. 3dcart merchants selling on multiple channels will love our integration with TradeGecko inventory and order management software. TradeGecko allows merchants to manage multiple sales channels from a single dashboard, with full inventory synchronization. 3dcart's integration enables merchants using TradeGecko to connect their 3dcart store for management through their TradeGecko account. Orders placed on the 3dcart store are forwarded to the merchant's TradeGecko dashboard while inventory information is pulled from TradeGecko to update the 3dcart store on an hourly basis. All product information, including pricing and descriptions, are also updated from TradeGecko onto your 3dcart store. In short, running your 3dcart store through TradeGecko becomes simple. Houzz is an online marketplace centered on home and landscape design, decorating, and home improvement. Our Houzz integration initially allowed 3dcart store owners to download their Houzz orders to their 3dcart store for processing, and has now been updated with a new product feed functionality. 3dcart merchants can now add products from their 3dcart store to their Houzz marketplace with an automated daily update, with inventory and pricing changes sent to the merchant's Houzz account. Basically, the upgraded Houzz integration allows for a back-and-forth synchronization between a seller's online store and Houzz marketplace, streamlining management across both platforms. In addition, we've improved PayPal checkout with the new PayPal Smart Payments Button. Your store intelligently present the most relevant payment types to your shoppers, automatically, making it easier for them to complete their purchase using methods like Pay with Venmo, PayPal Credit, and local alternative payment types. In addition to this, the new in-line experience allows to login to Paypal within the View Cart or Checkout page in a modal window, preventing the customer from needing to leave your site. This improves usability and helps increase customer confidence in your store, as online shoppers often distrust redirects. 3dcart v8.2 includes many more new integrations including additional payment providers, as well as improvements and additional functionality added to existing integrations. PayJunction has been updated to include tokenization, allowing for more options in the way you accept payment, and enabling the use of eChecks. 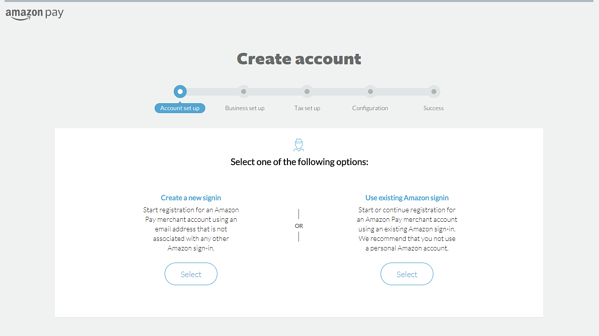 Also, Amazon Pay has received a few minor updates, with a new logo and streamlined initial setup. We're also pleased to offer a new payment integration with PAYFORT, an international payment gateway with built-in fraud protections and the ability to take more than 80 currencies. 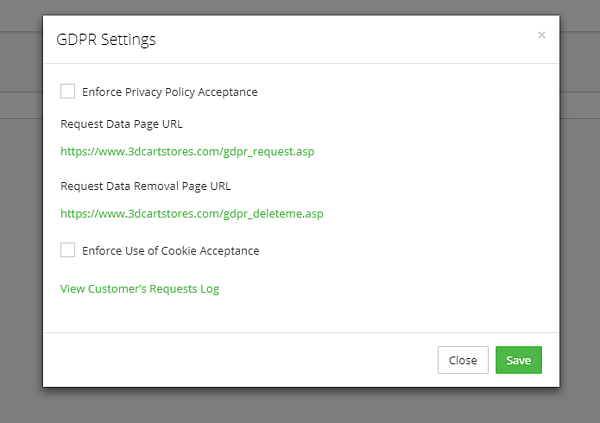 Several areas of the 3dcart admin have been improved with features that offer extra functionality or convenience. 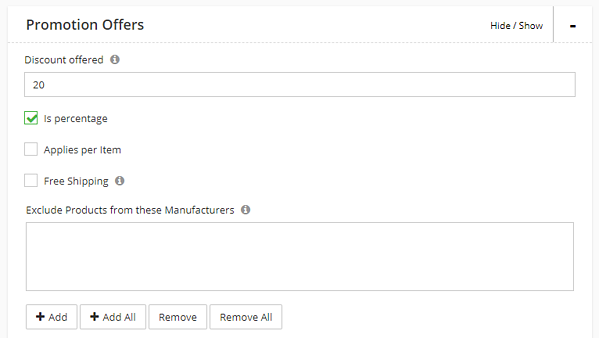 The Promotion Manager now has the option to add or exclude all manufacturers while setting up a promotion, rather than needing to select them individually. This will make the promotion setup process much smoother for merchants creating promotions with specific manufacturer restrictions. Another excellent addition for promotions is the ability to designate different reward point amounts based on a product's advanced options. This allows you to fine-tune your Customer Rewards program in an unprecedented way. You can now further customize your Affiliate program by defining the length of time affiliate cookies will persist. You can change it via a quick dropdown menu with a range of 30 to 360 days. This feature will help retailers in need of additional fine-tuning to get the most out of their affiliate programs. Automation Rules have been enhanced in the way they work with Customer Groups. You can now disable automatic signup emails for new customers by their group, and a new Automation Task has been added that automatically adds a customer to a specific marketing campaign if they register for a particular group. 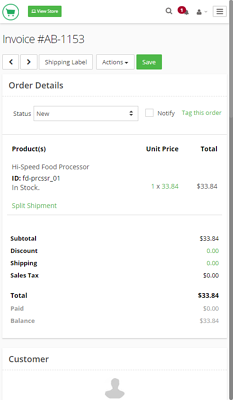 We've also made a few technical adjustments such as adding log timestamps to orders created via REST API, implementing the ability to add extra product field variables to the category and search results templates, and for certain account types, the ability to add as many order status types as needed. To increase performance, CSV exports are now automatic and take place in the background. Merchants have the option to receive an email when the file is ready for download. Much like previous software upgrades, 3dcart v8.2 puts more power in the hands of online store owners and offers greater flexibility, a more advanced feature set, and a better overall experience than ever before. Version 8.2 will be rolling out during the month of August to all existing 3dcart online stores.